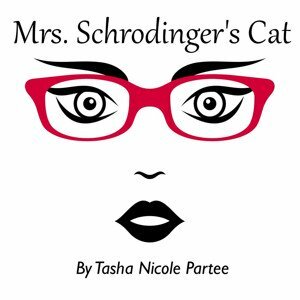 The heat of summer enters Teatro SEA, which is fitting as the characters of Tasha Nicole Partee's Mrs. Schrodinger's Cat are trying to beat the heat in this mystery of sorts. This dramedy tackles betrayal and how you combat it. To begin, the set up is Myrna is filming a video. We watch her film it throughout the play, offering a bit more information through each "clip." This is interspersed through scenes with landlady Judith, her dry daughter, and her crazy tenants. As the play unfolds, we learn that a peeping Tom has been roaming the neighborhood with a camera and the ladies are worried they may be the subject. The two-act play is quirky yet balanced with truth and heart. Partee's script is snappy, even if the tempo occasionally faltered. Her characters feel as if they can live in a serial world, existing through weekly hijinks. It's a play with a plethora of promise. Which means there's plenty of room to improve and finesse. Should Partee remove the fluff, she can add in a much desired scene between rivals Myrna and Flannery as well as add another moment of health woe earlier for Judith. The power of threes! With a sitcom feel, some of the plot holes and forced moments can be excused, though patching those holes would only be a benefit. In addition to writing, Partee took a seat in the director's chair. She ran into some staging struggles by placing Myrna on stage right. Had she kept the camera hugging the column and set her off stage when she's not talking, Judith and friends would have had more room to play, avoiding some harsh angles like Rachel being forced to talk backwards to Judith. It also would have assisted in spreading out the already cluttered stage. Though the furniture selected was spot on. Colorful and whimsical. Not all of Partee's characters had big personalities but those who did got to play. Landlady Judith is the strongest of the bunch. She's quirky, lovely, and someone you'd want to sit in the heat with. Eileen Howard had an immeasurable heart to give. As well as the innate ability to make you blush. The Talbot sisters are wonderfully eccentric. They're so eccentric and kooky that there is a desire to see them go further with the whimsy. Amelia Huckel-Bauer, Madigan Mayberry, and JC Sullivan as Flannery, Delphine, and Tia respectively each brought a different shade of color that made them the three headed hydra of hilarity. In just a bit part, Emily Moody dominates. Attached to her cell phone and detached from her job, Moody's Caitlin Copely was the flash of fun that was desired so much sooner. At the end of the day, Mrs. Schrodinger's Cat is a lovely dramedy. It's sugary in all the right ways. This is a play that could use an outside eye to guide through the wavering tones to bring each out properly. Don't be surprised when you see this show again.